Team C.S.L. doesn't only feature some of the best cosplayers in South Korea, but the entire world. The cosplay collective has represented its country at the World Cosplay Summit (think: "Cosplay Olympics") several times. And for good reason. Team C.S.L. is great. "C.S.L." stands for "Cosplay Stage Laboratory". What makes this collective so interesting is that its somewhat varied, with a pretty good mix of male and female cosplayers. That, and the group's outfits, pictures, and props are all top notch. 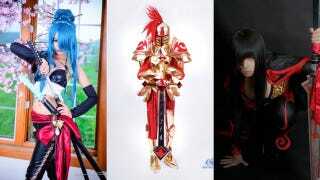 Have a look at the team's cosplay work.